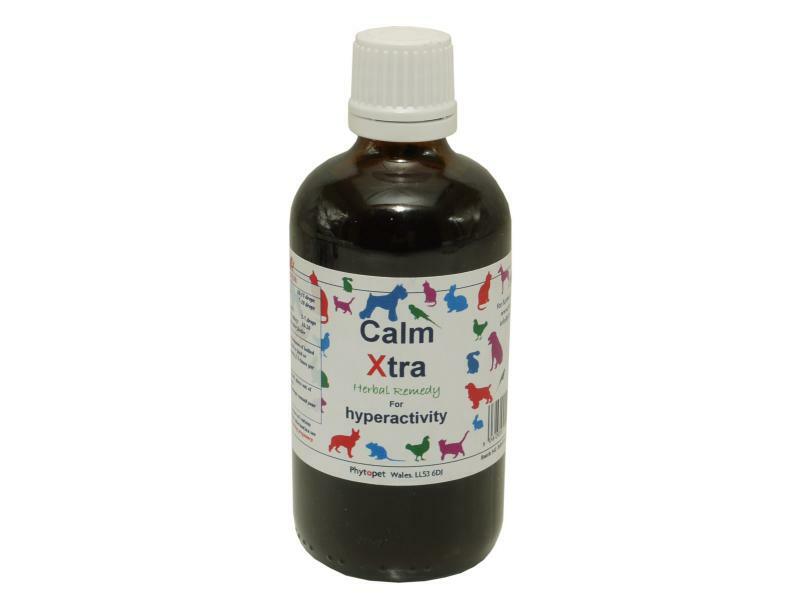 Perfect for times of stress and anxiety, Phytopet Calm Xtra features a wonderful blend of herbs traditionally used for their calming properties. Valerian (Valeriana officinalis):Many studies have shown Valerian to be a powerful, nonaddictive and anti-spasmodic nerve relaxant, sedative, and pain reliever. Its actions are due to its calming and balancing effect on the central nervous system. Traditionally used for all states of nervous anxiety and irritability, agitation and hysteria, tension migraines and insomnia. Skullcap (Scutellaria laterifolia):A good relaxing herb, known to exert a tonic effect on the nervous system. A wonderful non-addictive remedy, traditionally used for nervous tension, anxiety, hysteria, agitation, insomnia, muscle cramps and spasm and tension headaches. Oats (Avena sativa): A gentle calming herb with a special affinity with the nervous system. In combination with Valerian the synergy is special, each herb enhancing the action of the other. Passionflower (Passiflora incarnata): A wonderful herb traditionally used for insomnia, anxiety and irritability, its non-addictive calming effect is due to its action on the central nervous system. There are currently no questions for Phytopet Calm Xtra - be the first to ask one!